Looking for a road block early on in your startup? When it comes to the nitty, gritty details of the backend, non-technical startup founders underestimate the importance of coding for entrepreneurs far too often. Of course, they’re experts in non-technical areas like finance or marketing, and as it’s gotten them this far, they might not have considered the value in knowing some essential programming fundamentals. As such, they often entrust software development to a CTO, hire freelancers, or an agency. However, the founder’s lack of technical expertise can sometimes cause inefficiencies when it comes to decisions about product architecture or design. Simply having a basic understanding of programming fundamentals and how the web works can be helpful in all stages of your business, clarifying many things that might have seemed mysterious before. Turning that basic understanding into high-level knowledge does even more good. Specifically — to name a few things — it will allow you to map the product specs, create mockups and wireframes, estimate the resources needed to start developing an MVP , understand what expertise is required for the project, and which technologies will be the most practical to use. If you’re planning to create a revolutionary platform that will disrupt the entirety of the digital assets market, awesome! Go you! But… that might be difficult if you have just a basic set of coding skills. It’d likely be much more practical to let professionals build the actual app. However, because you have that set of skills, you can create a landing page, describe what your app can do, and even let people leave their emails for when they either happen to like your idea or would like to become the first beta testers. Know more than a bit of HTML and CSS? Cool! You might be able to prove the fundamental concepts of your app before going further with development. That way you can make adjustments in the business strategy or the product design. You can build small prototypes intended to test how a specific technology or feature works yourself. As a plus, you will understand how to make an app from the beginning to the end. More than that, you might find yourself among the luckiest of us that end up raising funds or winning competitions with only a simple prototype you built yourself without hiring anyone from the outside. Once you have a tech team, it might be pretty hard to get on the same page with them when you’re not tech-savvy. This communication barrier can be a huge, unfortunate bottleneck. But, if you learn coding fundamentals, it could prevent any miscommunication or misunderstandings while discussing tasks and goals. Knowing how to write code also makes you a better leader for your tech team as you’ll also better understand the technical risks, find ways of minimizing them, and stay on track to MVP. When you’re working with an agency or a freelancer on technical projects beyond your understanding, you often have to rely on other people’s expertise when the time estimates are done. Why does that matter? Time estimates affect the app or web development cost. Sometimes — and we’ve been there — it seems weird why some small changes in the app take hours of work. Then people start thinking that the app developers are either don’t know what they’re doing or don’t have your best interests at heart. Well, in most cases in the software development world, most of the work is done behind the curtain — things you literally couldn’t see unless you knew where and what you were looking for. Changing a layout on a page might require multiple logic edits that aren’t visible to the user, and without understanding the software principles, it’s not nearly as obvious to the product owner. That tension and conflict between the team and product owner could prove difficult (if not altogether uncomfortable) to overcome. Knowing software development basics and modern technologies helps to understand if the quality of the work is good enough, what more needs to be done, and what costs are required. A good tech team will not only build quality software, but they’re also ready to educate the non-technical entrepreneur further on the software development landscapes, and explain why specific tech decisions were made. Sure, we’d all love to be that person who strikes gold either literally, luckily, or conveniently enough that they only had to make a basic prototype to get funding. Obviously, we’d love the spontaneous win that changed everything without us having to do much of anything. But — and even more obviously — that’s not how it works in the startup world. It takes time. It takes process. It takes effort. It takes more time — long months of preparation, planning, trying, failing, revising, and trying again. It takes a clear goal, a well-made plan, and an understanding of the market. Every entrepreneur wants that dream of getting exactly what you want in the exact amount of time you wanted it or less. But coding isn’t that lottery ticket. Coding for entrepreneurs is a tool. It helps you develop and refine your logic, the various mechanisms of problems and their eventual solutions, and the many different ways of thinking. It makes you examine issues from another perspective and keeps you grounded. Developing these qualities allow you to examine the reality of any obstacle with a critical eye and then choose the best alternative to solving the issue, completing the challenge, and bringing your vision to life. Learning code unlocks a different understanding of the world in which you’re working. It allows you to explore all of the boundaries of innovation, allowing you to see different outcomes and new directions to take your business. 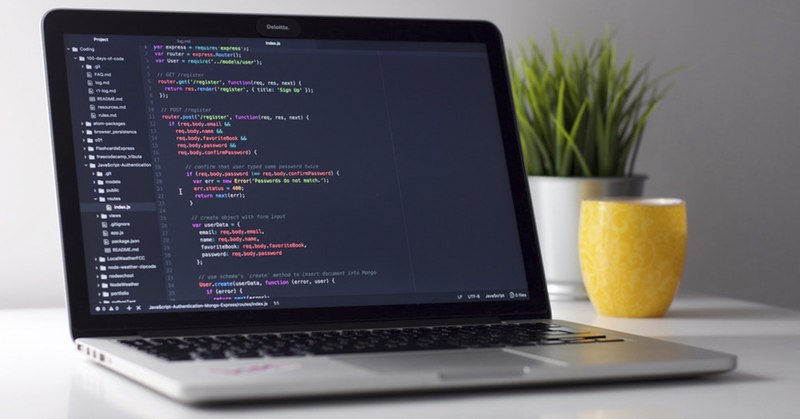 Entrepreneurs armed with coding skills and competencies not only have a more clear vision of their project’s future, but a decisive competitive advantage over those without. You live in the 21st Century! And yes, Latin’s still dead. So, learn code. It’s the language of the future, will keep you a step ahead in a crowded space (especially if all they know is Latin), and will help you understand and maintain control over every process in your project. Programming for entrepreneurs is an essential tool. It helps you develop logic, refine critical thinking skills, plan accurately, and complete tasks. For any technical demands beyond your capabilities, it allows you to make more informed decisions and more reasonable demands when negotiating with other developers which will ultimately save you time and unnecessary headaches from frauds overcharging for simple tasks. There’s a certain skill set required for being a technical co-founder for startup, and it evolves over time. Obviously, an understanding of coding fundamentals is part of it. Mastering basic coding will prove imperative at some point down the line, so the need to get ahead of the curve is equally important. And remember: Latin is dead.